Plot: Friends, family, and lovers struggle to find love, forgiveness, and meaning in an almost war-torn world riddled with comedy and pathos. Starring: Shirley Henderson, Michael Kenneth Williams, Roslyn Ruff, Allison Janney. 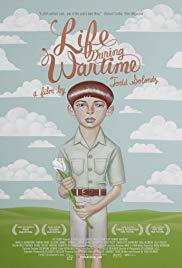 distributed by IFC «Life During Wartime» in the US movie theaters released on July 23, 2010 and has grossed over $768k worldwide; dvd and blu-ray release date was set for July 26, 2011. Netflix dvd by mail rental date set for July 26, 2011. Redbox rental date is not announced. «Life During Wartime» in the UK released in movie theaters on October 16, 2009. The movie estimated to release on dvd and blu-ray some time in January or February 2010.